Invoice Manager is an easy to use invoicing, billing and accounting software for Windows 7, XP and Vista for small to medium size businesses. Create professional invoices, credit notes and quotations in minutes. 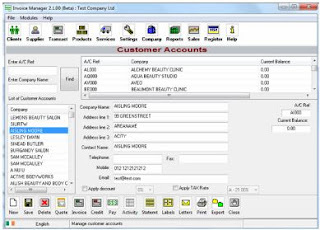 * Manage Customers and Suppliers. * Manage Products and Services.